Right off the bat, you must understand: I heart chorizo. Especially the kind I grew up eating in Mexico. It comes in deep-burnt-reddish links of fresh, moist, exotically seasoned ground meat that, once fried, becomes crisp and filling bites with bold flavors and a thousand uses. My oldest son’s quick choice for breakfast is chorizo fried until it browns and crisps, with a side of white toast. Add some lightly beaten eggs as the chorizo is starting to brown and some ripe and creamy avocado slices on the side, and that’s my kind of rich-tasting brunch dish. Of course chorizo is delicious in sandwiches, in tacos and quesadillas, on top of enchiladas, in mashed potatoes, as a topping for heartier salads, in some of the tastiest bean dishes I have tried, in pastas with a ton of personality and on pizzas with pickled jalapeño peppers on top. When I moved to the United States, more than a dozen years ago, I was thrilled to find chorizo in international grocery stores. Lately, I have been intrigued and surprised to see that my Mexican chorizo is now accompanied by many other kinds in the refrigerated sections of bigger, more mainstream stores: Argentine, Colombian, Guatemala, Salvadoran and Honduran chorizos have arrived. Like the Mexican kind, some of those varieties are being made with chicken, turkey or beef in addition to pork. There is even kosher chorizo, made with beef, at Koshermart in Rockville and vegan chorizo at Trader Joe’s (which I haven’t felt the urge to try). Many come in spicy, spicier, spiciest and hotter than hot. Through Sunday afternoon asados, or grilling parties, at friends’ houses and trips to Argentina, I had become familiar with the garlicky chorizo Argentinians are so proud of. But I was clueless about the other kinds. So I shocked my regular grocer by buying a variety of links, then cooked them at home to sample the differences, filling my kitchen with chorizo-tinged smoke. Later, on a cold and rainy day in November, I set out to explore the chorizo universe, including local manufacturers, in this part of the Americas. It was clear from the start that Latin chorizos share a common difference from Spanish ones. Most Latin chorizos are made with heavily spiced, freshly ground meat, and the must be cooked. Spanish chorizos typically are dried and smoked cured links of chopped meat, seasoned mainly with garlic and paprika; they tend to be ready-to-eat and have a salami-like soft and chewy bite. Although Spaniards introduced the pid and the techniques of making chorizo to most of Latin America, through the centuries chorizos were adapted with local flavors and ingredients. (The Spaniards, for their part, borrowed paprika from those new lads and made it one of their signature chorizo seasonings.) Interestingly, the version that took root in Latin soil was raw and uncured, which is the least-common kind in Spain. Latin chorizos differ greatly from one another in flavor. Mexican is the spiciest of the lot. It also has the most complex layering of flavors, and I won’t deny that it’s my favorite. Mexican chorizos can have variations as well, but they generally contain dried chili peppers such as ancho, pasilla, guajillo and/or chipotle; a mix of spices that might include oregano, cumin, thyme, marjoram, bay leaf, cinnamon, coriander seed, allspice, paprika, achiote and cloves; most times garlic and sometimes onion; and always vinegar, which makes the meat flake or crumble as it browns and gives it a welcome hint of acidity. If you like really spicy sausage, Chorizo Cabal of Fairfax produces a Mexican one called Perrón, which translates from Mexican-Spanish slang as brave or aggressive. It’s clear as soon as you see the label: A fierce dog looks ready to give you the bite of your life. It seems that around Washington, Mexican and Salvadoran chorizos have been wrestling for bragging rights for a long time. Chorizo Cabal sells more Salvadoran chorizo than Mexican (except in grilling season, when the Argentine chorizo is most popular); Logan Sausage sells twice as much Mexican chorizo as Salvadoran. But the choice has as much to do with flavor and recipes as with the local immigrant population and the popularity of each cuisine. Companies often start to produce chorizos based on where the owner or employees come from; immigrants nostalgic for the flavors of home find a way to replicate their native recipes. Of course, different brands and regions have different variations, which some purists question, especially when borders are crossed. Guerrero says, “My mother tells me that this is not the way chorizo is made in Mexico, that I am changing the ingredients, that I am changing its ways.” But Guerrero, an experienced chorizo maker, says her company sells about 50,000 pounds of chorizo per month. One thing I have noticed is that chorizos made in the United States have less fat than those I knew and ate in Latin America. Logan and Guerrero confirmed that, saying their chorizos are made with no more than 20 percent fat. Typically, Mexican chorizo contains at least 30 percent fat. Whole Foods Market makes its own chorizo with no more than 15 percent fat, according to company spokeswoman Katie Hunsberger. Another thing purists might question is why parts of the chorizo-making process are simplified here. For example, chorizo shops in Mexico soak and puree whole dried chili peppers and add fresh garlic and onion. Chorizo makers here, including Cabal and Logan, generally use custom-made prepared spice mixes that come with already-ground chili peppers and dehydrated garlic. According to these producers, the mixes not only are convenient but also help ensure quality: “Dried garlic imparts flavor and doesn’t turn black as quickly as fresh garlic does,” Clifford Logan says. They also promote consistency. Hunsberger says that Whole Foods works with Barron’s spices to create a spice mix for its house brand. No wonder chorizo makers are hesitant to share ingredient information. Their recipes are treated as highly classified state secrets that outsourced spice companies are legally forbidden to share. Dealing with such sacred formulas also may explain why many chorizo companies have longstanding and loyal employees. Or maybe they just heart chorizo, like me. Article written for and published by The Washington Post click here. Pati, thank you for spreading the good word about Mexican chorizo. I agree with the previous poster about most N-O-B Mexican style chorizo, Waay too much salivary glands and lymph nodes in the ingredient list. This style is believed to have been created or popularized by the Carmelita brand owners in East Los Angeles just after WWII. Farmer John brand has a ‘premium’ Mexican chorizo version that lists just ‘pork’, not bad. Another ‘step up’ around here are slightly aged raw products known as ‘longaniza’ that most California commercial brands and Latino markets here produce, much better. As an obvious chorizo fan I often make my own starting with well ground pork and the above listed spices. Dang, now I’m hungry …. Wow, just discovered this article. What a great read. I love chorizo and I realized I’ve only been scratching the surface! Hi, Pati! 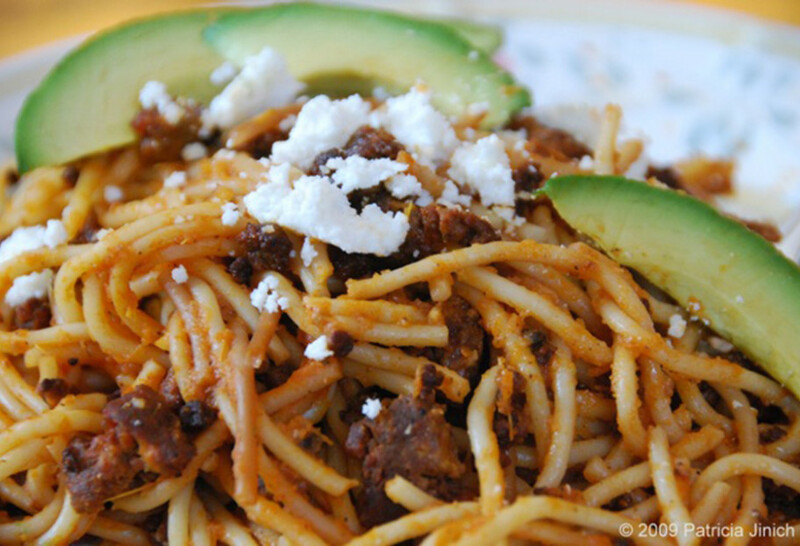 Your recipe for pasta with chorizo looks like a match made in heaven. The only chorizo available is the stuff that comes in a small plastic chub. It doesn’t have a casing and is really finally ground. Can I use this? Pati, I have been watching your show on PBS here in Austin for some time. When I first saw you, I wondered “just who the heck is this gal?” I quickly came to see that you are a fine and serious cook. I enjoy your shows greatly. I got a bit of a kick out of your hesitation regarding vegan chorizo. I indeed, have come across some that weren’t very good. I eat meat, but have tendencies towards vegetarianism. A while back, I was shopping in a grocery that caters to the local Hispanic market and came across a packaged chorizo that unabashedly listed as its first ingredients “pig salivary glands and lymph nodes”. No other meat ingredients were listed. At that point, I was never going to purchase any packaged chorizo. But then, at HEB, our local large grocery chain which serves a fairly large Hispanic population, I came across a product from a company called Reynaldos, out of California. It is a most delightfully named product – SOY CHORIZO. One almost wants to go around proclaiming it, ah, but how would one do so without laughing? It’s good stuff though, almost certainly not made by gringos. It sounds like I should give it a try too… Thanks much for tuning in to my show Mike! I hope you will watch Season 3, have worked very hard on it! Pati, which Mexican chorizo do you usually buy/like? I’m also in the DC area and have only tired the chorizo made at whole foods. I’ve seen the logan brand at Harris Teeter, but hesitant to try. Hi Juan, I usually use the Mexican-style chorizo from Whole Foods or the Logan Brand Mexican chorizo. So it sounds like you have already found them! Thank you for asking me!! Hi Pati.. I really enjoy your show…. I have only tried chorizo a couple times and I love it…. Do you have a favorite brand? The ones I tried were both really nice but they tasted different. Hola Brad, Thank you for watching the show!! I’m not loyal to any specific brand of chorizo, but I usually look for Mexican chorizo. 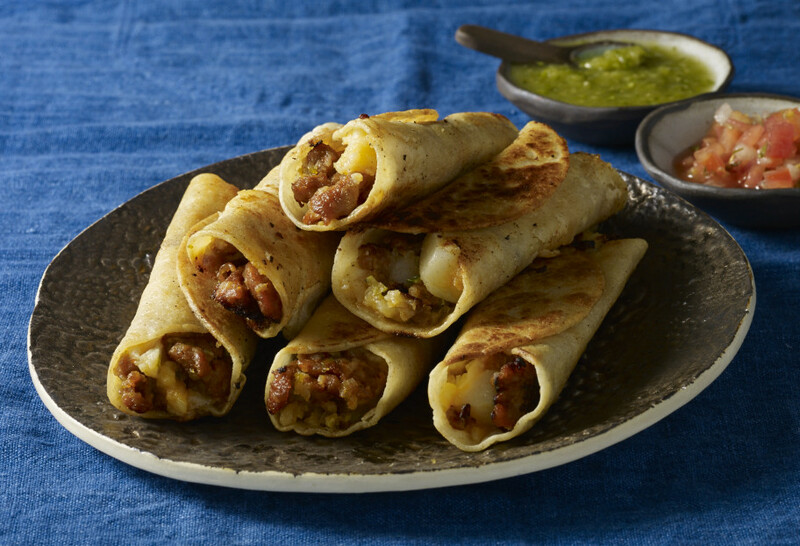 It’s made differently depending on where it’s from; for example, Mexican chorizo is very different from Spanish chorizo. Thanks for your posting on this website. From my own personal experience, periodically softening up a photograph could provide the photography with a little bit of an inventive flare. More often than not however, this soft clouds isn’t just what exactly you had under consideration and can in many cases spoil a normally good snapshot, especially if you intend on enlarging this. I saw this chorizo episode. 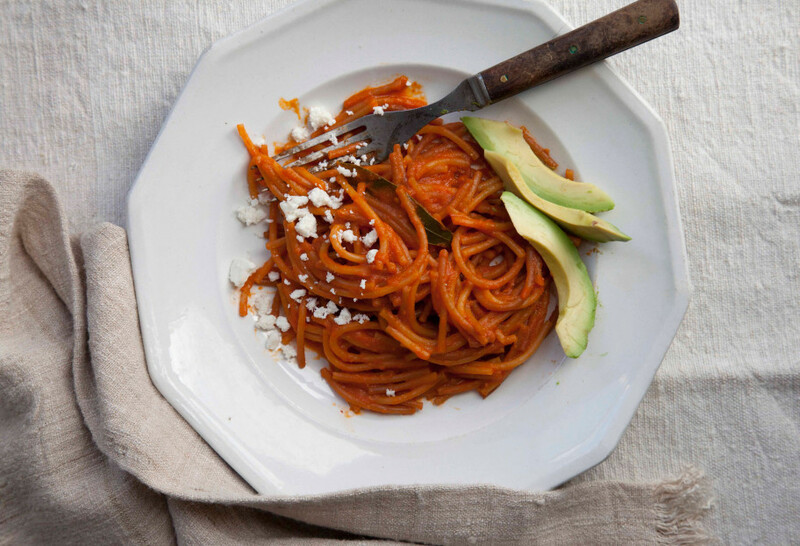 I was immediately attracted to the pasta dish because it looked so easy (great for getting dinner on the table after work) and so delicious! I have to tell you that this is THE BEST spaghetti I have ever had! The sauce is so incredibly fresh and fast. You have revolutionized the way I will make tomato sauce from here forward. Hi Lisa, I’m so happy that you enjoyed the dish so much! Keep checking the website for my recipes you might like! I am Portuguese from Massachusetts and in 1986 moved to NC and now in FL. I very much missed my portuguese sausage, and had to have it sent to me from Mass. Now that I am in FL some super markets have the portuguese linguesa or chorizo. The linguesa is mild where the chorizo is spicier. I read your whole article in the Washington Post but never saw the mention of the Portuguese chorizo. In FL now in Palm Coast I have found there is a Portuguese population of over 10,000 most have immigrated from Mass, the ones that don’t like the cold weather up there and now I can finally get the real chorizo I am used to. You need to also try our linguesa and chorizo. They are also smoked like the Mexican chorizo and like your son I enjoy mine sauted and then throw in the egg and scramble. I makes me feel like a kid again in my mothers kitchen. I love your recipes and am going to buy some Mexican chorizo today and compare it with what I am used to. I will post again once I have tried it in several of my recipes. I love cooking and love reading all your posts and blogs. Thanks for taking the time to answer and adding to the recipe lists. Thanks so much for all of that great information on chorizo! I enjoyed watching your show this morning for the first time on PBS. I lived in Mexico City for 17 years and I miss so many wonderful things about Mexico, food in particular. There was a small restaurant (perhaps it’s still there) in Polanco (Konditori) that served delicious Huevos Petrolera and for the life of me I have never been able to get a recipe for it and would love to try and replicate it at home. Hopefully you can help me out? Love all your recipes, I have yet to find authentic Mexican chorizo here in Miami, FL. Thx for a wonderful show, good luck to you! Glad to hear that you found the show! I’ve tried Huevos Petrolera many times and it’s so good. I will try to get a recipe onto the website for you soon! I’m new to your sight having just heard you on Splendid Table. You were enchanting to listen to. Chorizo is my favorite “no-guilt” food as well. I just had it last night and I’m drooling just thinking about how good it was. A blue corn tortilla embraced by scrambled eggs with chorizo, mashed potatoes, melted Queso Oaxaca, salsa verde,and crowned with several slices of unctuous avocado goodness. I look forward to trying the gefilte fish Veracruzana. I’m sure it will be delicious. Do you have any favorite Veracruz restaurants you might share with us? Many thanks for your warm and generous comments! Your blue taco just made my mouth water… It is quite amazing that these days one can find all sorts of precious ingredients like what you layered in there. Love the pasta with chorizo idea donâ€™t know why I never thought about that! 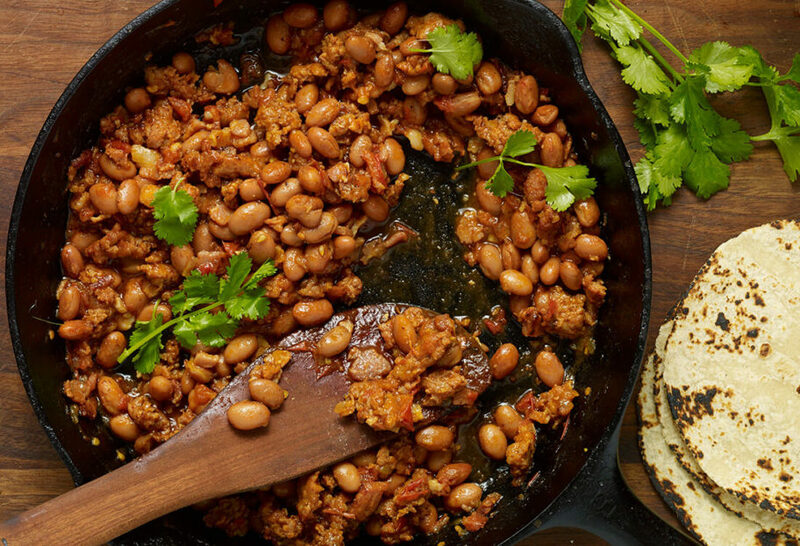 However, since I’m a new vegetarian I will make this with SOYrizo which let me tell you it tastes JUST like the real thing! Bought Argentine chorizo to try it, now how do I prepare it? like Mexican chorizo? I just made the Potato, Chorizo and Scallion tacos for my husband and he loved them! They were so yummy!! My family is from the Yucatan (Merida), and I am so thrilled that you have shared some of their classic recipes! That is such great news. I will keep on adding more.. Let me know if there is something specific you or your family are craving, and I will try to post a recipe for it (!). Oh yum! I love love love chorizo. Great article!